Clare has been practicing yoga for fifteen years including prenatal practice throughout both of her own pregnancies. It was thanks to her own amazing prenatal teachers at OM (now closed) and Lila Wellness that she decided she wanted to be able to offer other pregnant women the opportunity to release tension, discover physical and mental strength and create community through yoga. Clare completed her 200-hour RYT training in May of 2015 at Now: yoga and quickly followed up with her prenatal certification completing Prenatal Yoga Center’s program in May of 2016. 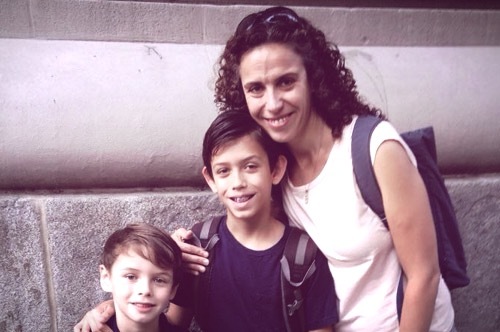 Clare stays busy with her two boys and when not practicing or teaching yoga can often be found volunteering at their elementary school. Give the gift of yoga or a workshop with a gift card!